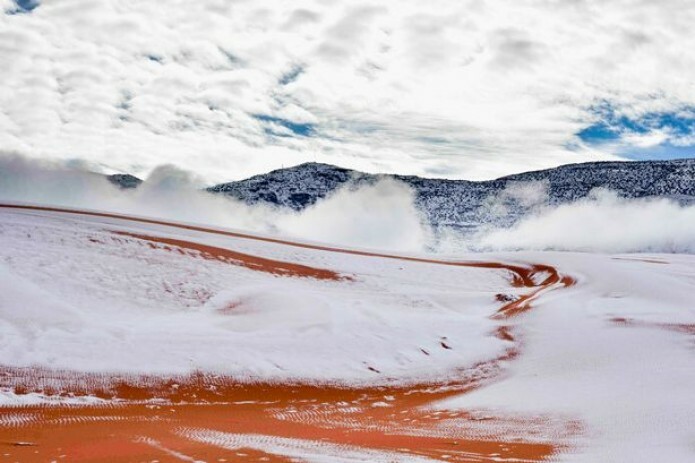 A rare bout of icy weather hit the town, covering parts of the sandy slopes in snow, even though it melts as temperatures rise during the day. 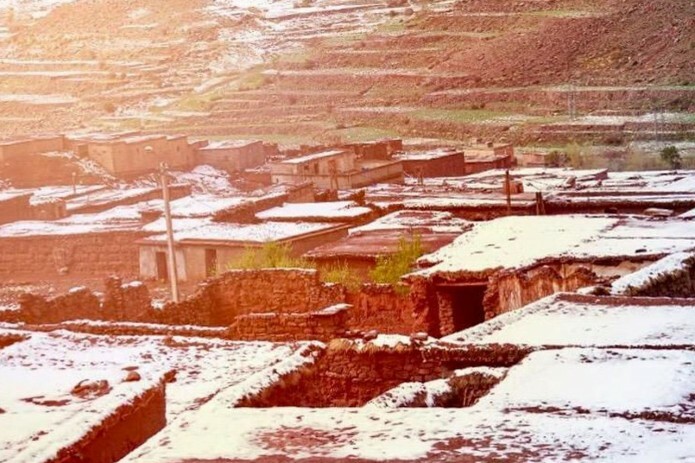 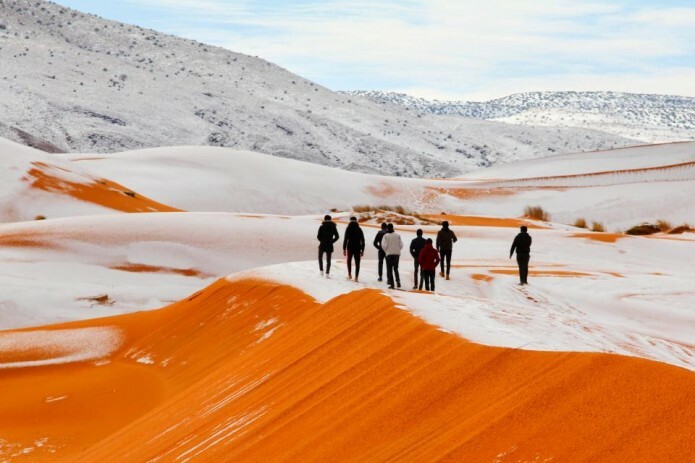 Residents of Ain Sefra in northern Algeria on Sunday (January 7) welcomed the sight of snow in the Sahara, the hottest desert in the world. 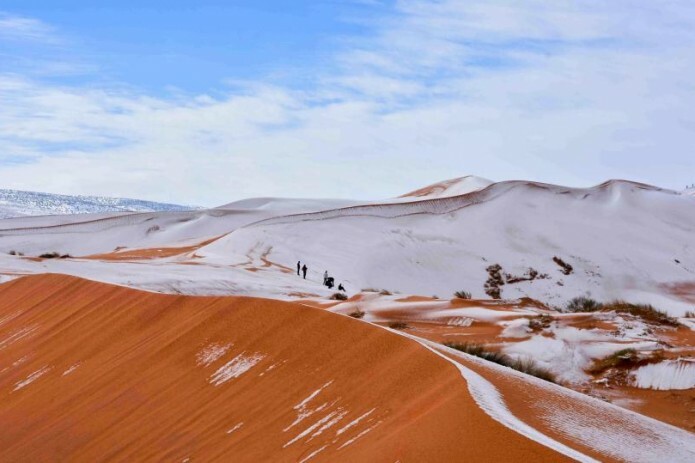 Photographer Hamouda Ben Jerad, who filmed footage of people walking around admiring the sights, said the mixture of sand and snow proved a unique photo opportunity. 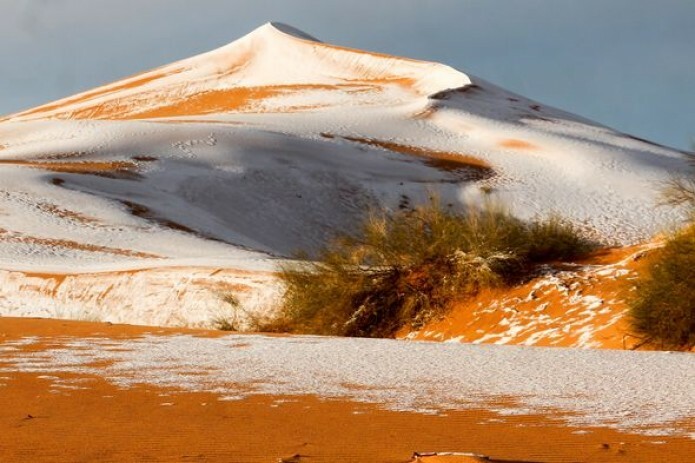 The town of Ain Sefra is known as the gateway to the Sahara desert.